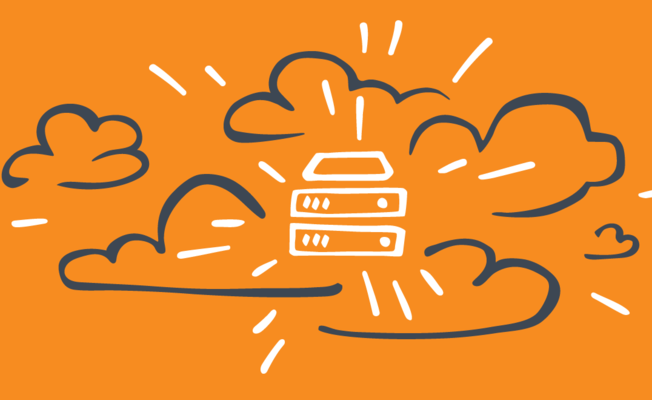 There are lots of reasons why businesses choose Amazon Web Services cloud for their apps. Companies get storage, analytics, computing, and many other services using one global platform. AWS is taking good care of its clients, lowering tech costs and speeding up the development process. What else can a company owner ask for? You must be thinking about transparent pricing options at the moment. In this article, we’re reviewing AWS features specifically for mobile applications, their pricing, and free trial options. And finally, we’re going to figure out what an AWS calculator is and how it can help you in your work. Despite the complexity of AWS pricing system, we have to mention its three most important benefits that can help your business grow. Chargeless start. Every AWS mobile app service has a free trial. It is helpful for startups with limited budgets when a business only starts growing. Quick results. Amazon provides developers with serverless technology, which allows enabling services faster. Communication with customers. Getting feedback and having conversations with end users is the most important source of improvements for the mobile app. With AWS, companies can start “talking” to users by sending emails and push notifications. AWS Mobile provides developers with a smooth start in the cloud. Amazon has written instructions for web, iOS, Android, and React Native platforms. All you have to do is choose which features to implement. Cloud: providing secure authentication, NoSQL scaling databases, storage for the user data, serverless technology, and chatbots. High quality: using Content Distribution Network (CDN) and conducting unit tests in the cloud. Engagement: receiving detailed analytics data, running A/B testing, and sending notifications to users. There are lots of opportunities for the mobile segment hidden in these three points. Each aspect, such as data storage or sending emails, is controlled by a certain AWS product. To figure out AWS pricing, we should first review these products in detail. This tool is working to provide mobile users with safe authentication. Amazon Cognito is based on User Pools — these are user directories allowing the signup process. In this case, the payment is based on monthly active users (MAUs). The free trial is for the first 50,000 MAUs. The price for one monthly active user gradually goes down from $0.00550 for the next 50,000 users to $0.00250 if there are more than 10 million users. Cognito also provides SMS messaging for the purposes of multi-factor authentication — there is a separate pricing system for that. This is a serverless database that is highly responsive at any scale and allows regular backups. Using DynamoDB, you pay for data storage, write capacity units (WCU), and read capacity units (RCU). 25 GB per month is the storage space you get for free. Then, you pay $0.25 for each GB. Read capacity unit (RCU) means using eventually consistent or strongly consistent reads for 4KB-sized items. If the item has a bigger size, it requires more RCUs. In the case of write capacity units, they imply using 1KB-sized write requests. You get 25 RCUs and WCUs per month for free — that’s around 200 million requests. 100 WCUs and 100 RCUs cost $0.0128 and $0.0025 respectively. With API Gateway, developers can manage all operations: creation, maintenance, monitoring, etc. When it comes to pricing, you have to pay only for the actual usage of the API, i.e. calls received. With a free trial, you can receive 1 million calls per month, and the free period lasts for 12 months. If there are more than 1 million calls received, the price is $3.50 for the next million (for the U.S., Canada, and some of the EU countries). You will also have to pay for the data transferred out. Pay attention that pricing varies depending on the country. Amazon Lambda is a tool that allows managing any application type without a server. Developers only have to run the code and then upload it to the tool, and Lambda will take care of the scaling automatically. Payments are based only on the number of requests and the duration of code execution. 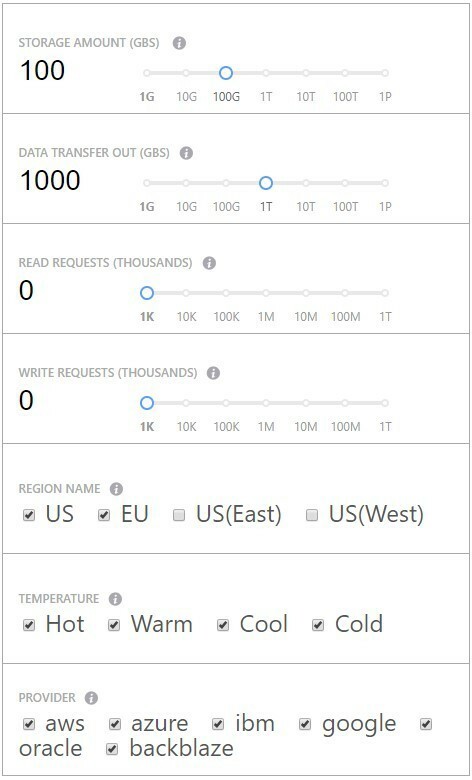 1 million requests and 400,000 GB-seconds per month are free of charge. The free trial won’t expire after 1 year of usage. You pay $0.20 for the next 1 million of requests and $0.00001667 for each GB-second used beyond the free trial. Nowadays, any software product needs a secure data storage, and Amazon S3 is a great solution in this situation. Not only storing but also analyzing and retrieving data will be an easy task for developers. And this instrument is a good fit for any type of application, be it a mobile or a web solution. In order not to get confused with the charges you have to pay, you can use the Simple Monthly Calculator as Amazon S3 price calculator (read about this tool in the next section). Pricing of some services (storage, request, data transfer) varies depending on the geographical location. 5 GB of standard storage are free of charge. 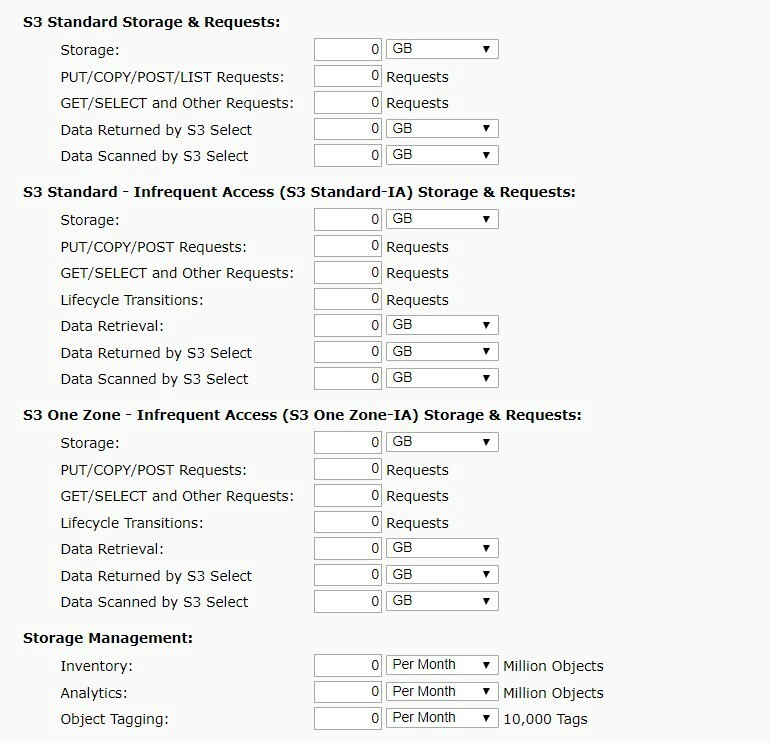 There are several options of Amazon S3 that you can use: Standard Storage, Standard-Infrequent Access, One Zone-Infrequent Access, and Glacier Storage. This solution is all you need if you’re going to build a conversational interface. Amazon Lex can be used for any application type as well, and it provides developers with the latest tech innovations. For instance, you can use automatic speech recognition and natural language processing to make your application truly “alive” for mobile users. Payments depend on the number of requests. During the first year of usage, you get 10,000 free text requests and 5,000 free speech requests every month. The price for each text request is $0.00075 and $0.004 for each speech request. Amazon Pinpoint provides you with all the necessary instruments for effective communication with customers: you can send emails, SMS, and push notifications. Strictly speaking, this tool can be used not only by developers but also by marketers and business owners. In the long run, well-set communication helps to improve your product. The first 5,000 endpoints in your target audience are free of charge every month. Emails: 10,000 letters cost $1.00, and the next 1,000 endpoints (after the first 5,000) cost $1.20. Push notifications: you get the first 1 million messages for free, the next million cost $1.00. SMS: you pay $0.00645 for each message sent, and the next 1,000 endpoints (after the first 5,000) cost $1.20. Now we see how AWS pricing works in case of the specific Amazon products. Price calculation may seem overwhelming when you see so many numbers and price nuances. But don’t panic! Amazon and other platforms have already taken care of this issue with special calculating tools. So, how much does AWS cost for a mobile app? If you decide to work with a product where pricing is easy to understand, calculations won’t take much time. But complex mobile solutions require way more efforts, so you should use an AWS monthly calculator in this case. We’ve prepared three options for you to choose from. Plus, Amazon also considers geolocation: you can pick it from the drop-down at the top of the page. Imagine how much time you can save and how many mistakes you can avoid with this tool! This tool is not an Amazon cloud price calculator per se, but it is a useful solution as we all care about our spending. Let’s say you want to compare the overall pricing of several cloud services (for example, Amazon and Google Cloud) — you just fill in a calculator form and see the results. The last row of the form is about the cloud provider. You can choose several of them at once and compare prices. But, apart from the comparison feature, CostStorage can also be an easy-to-use AWS price calculator. This calculator contains the prices of three main providers: AWS, Azure, and Google Cloud. On the Instances page, you fill in the parameters, and the system will automatically show you the results for all the three platforms. This tool is not for regular usage, but it can be helpful if you want to calculate and monitor the overall market prices. Amazon has prepared a full spectrum of cloud services for your mobile application. The more services you use, the more difficult it becomes to calculate the final pricing. There are seven AWS products used by mobile developers (and sometimes marketers), but only Amazon S3 is known for its complex pricing system. The fastest solution is using an AWS calculator tailored specifically for Amazon S3. As for simpler instruments, the market has Unigma and CostStorage to offer: they allow both calculating and comparing prices of several cloud platforms. But no one will tell you about the benefits of AWS more than professional developers. Let’s continue this conversation in person, and you’ll be able to ask Applikey’s experts the rest of your questions. How to Figure Out AWS Pricing for a Mobile Application was originally published in Hacker Noon on Medium, where people are continuing the conversation by highlighting and responding to this story. Next PostNext How to build an app like Airbnb?